Hello Everyone!!! 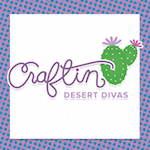 Lisa B. here sharing my projects that I made with the January release. I am in "LOVE" with this release, no pun intended!! lol When I saw them I had all of these ideas pop up into my head. I didn't know what to do first. Well I picked one and went with it. I have twins that are in Kindergarten. 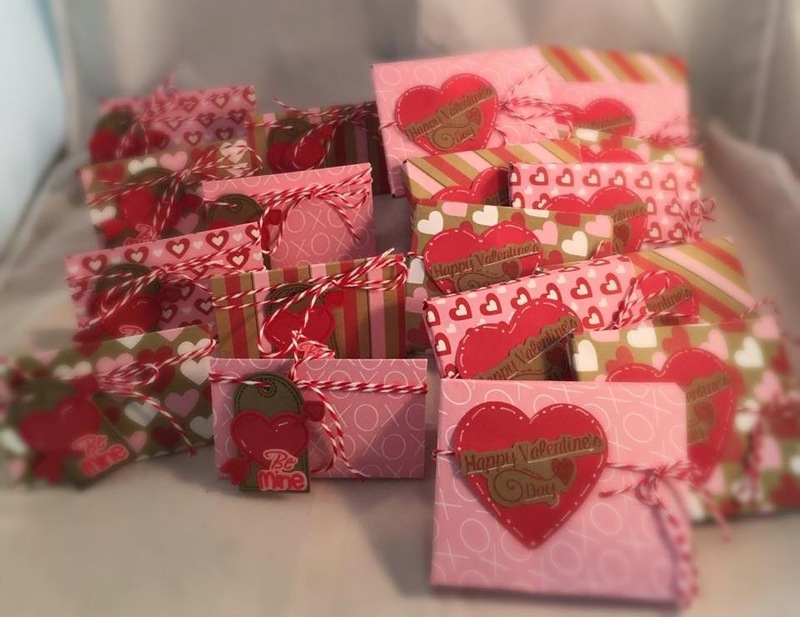 I wanted to make a project for them to give out to their Classmates for Valentine's Day. 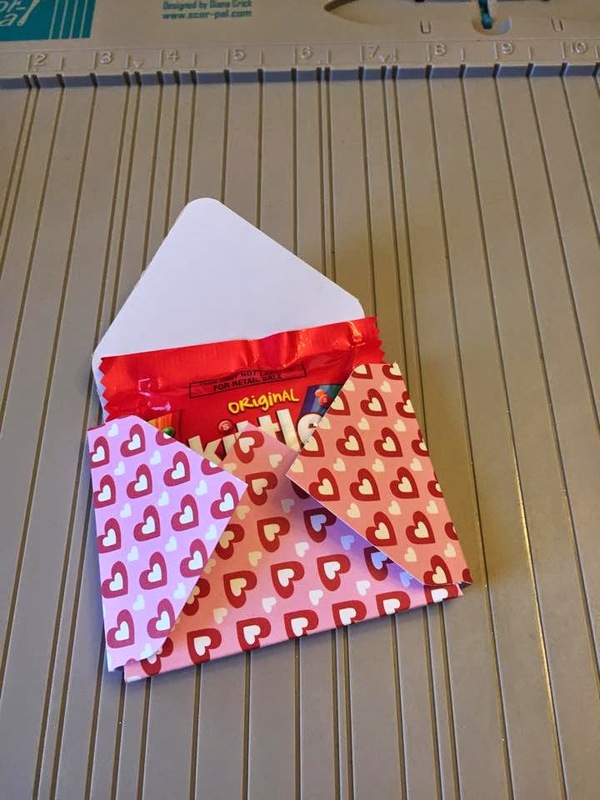 I had a bunch of these packets of Skittles and I wanted to make something that would hold those. The problem was they are kinda bulky. Making a long story short I had crafting time but no means to find something since both of my girls were on my electronic devices. I decided to challenge myself to come up with something on my own. Please note I used my envelope punch board to make all of these treat holders. So in order to have the same end results while following my instructions you will need one of these. 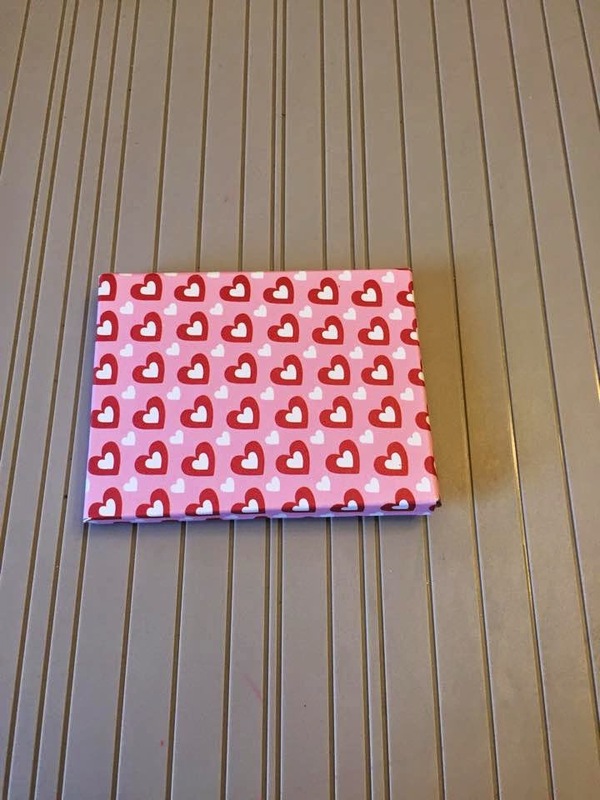 I recently picked up a pack of Valentine's Day paper that had 25 sheets. I made all of these with one pack of 25 sheets of paper. I didn't show all of them here assembled because of the mass amount. 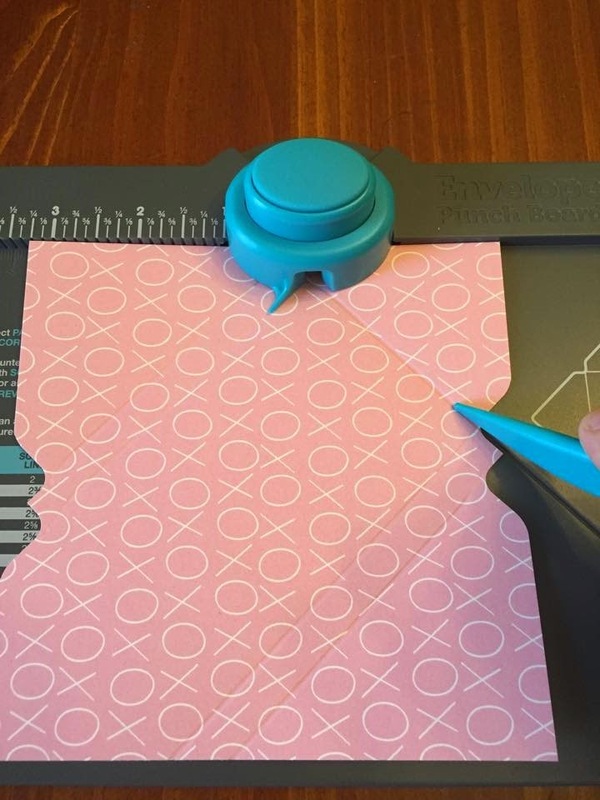 I used one sheet for trial and error until I found out what I needed. I was beyond impressed with myself since I am mathematically challenged. But with trial and error I came up with a little envelope box like thing that worked for what I needed. I was left with these long stripes of paper and thought great more to add to my scrap pile. As I was looking at them I decided, "Hey I bet I can come up with another treat holder using these". And I did just that, my accident I may add. I ended up with over 80-90 treat holders for under $3! Not bad. 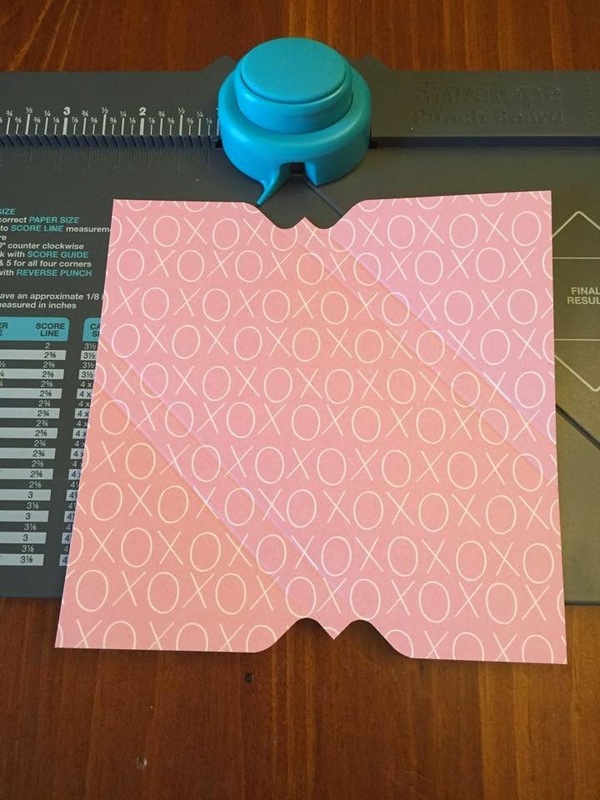 I thought I would share with you ladies on how I made them in case you were interested. So I took a step-by-step photo tutorial and thought I would post it here. I am going to do my best to explain it, but please if you have any questions just ask! 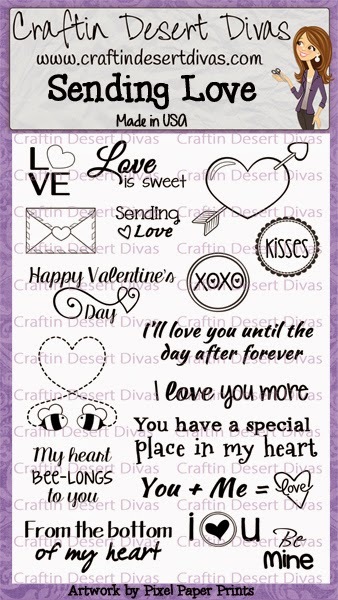 For starters I used Short & Sweet Tags as well as Sending Love for my stamps (as well as the matching SVG's). Here is a group shot of the treat holders when they were finished. 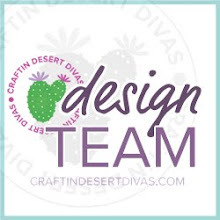 The first one I will show you how to do is the treat holder that fits a snack size Skittles or M&M's sized candy. You may be able to fit a couple of smaller sized treats in there as well. Step #1 - I cut all of my sheets down to 5 1/2" x 11" and then to 5 1/2 x 5/1/2. That left a 3"x11" strip of paper. Put the 3"x 11" pieces of paper aside since that is what we will use to make the Nugget treat holder. 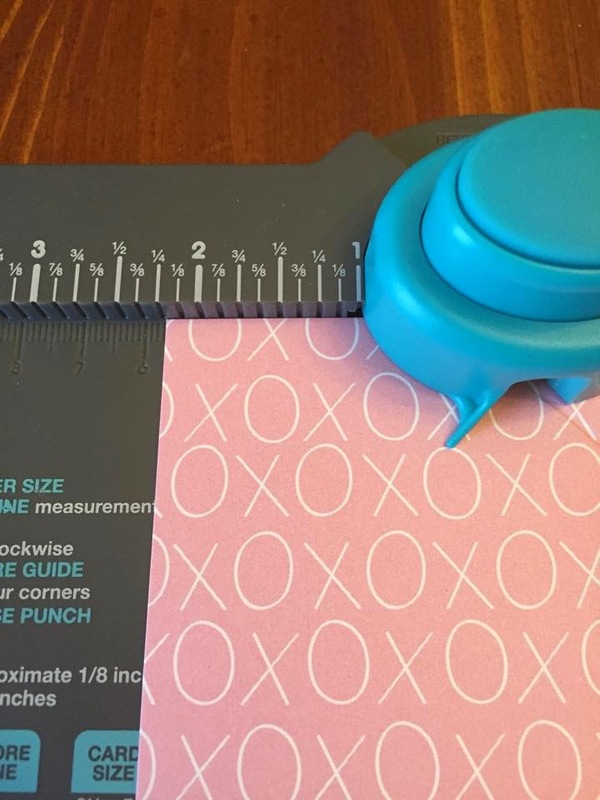 Line up your piece of paper to the 2 1/4" mark. Punch then score. 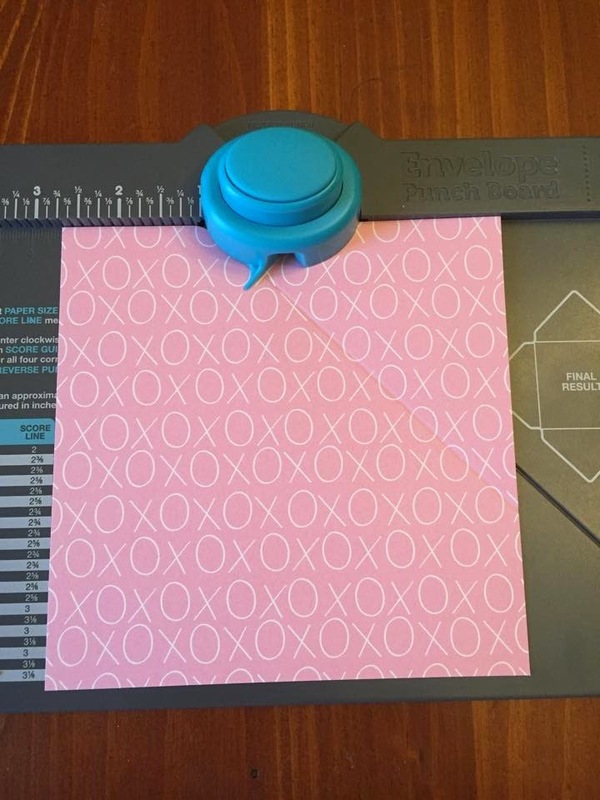 Step #2 - Move your paper over to the 2 3/4" mark and punch and score again. You will now have two score marks as well as two punch marks. Step #3 - Rotate your paper 180 degrees and repeat Step 1 & 2. You will end up with your paper looking like this. Step #4 - After completing this above steps, rotate your paper 90 degrees. Line up the marker (little blue part as seen above that sticks out) to the first score line. Punch and score. Move it to the next score line, then punch and score again. Here is a view of how it will look at this point. Rotate the paper 90 degrees and repeat Step 4. When you are done, you will end up with your paper looking like this. 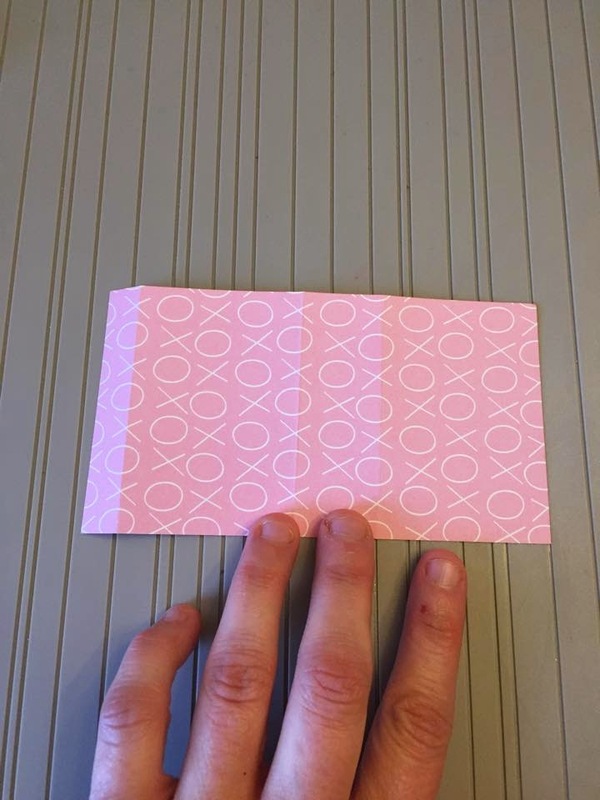 Step #5 - Fold on all of the score lines, then run your bone folder over each crease for a nice crisp fold. 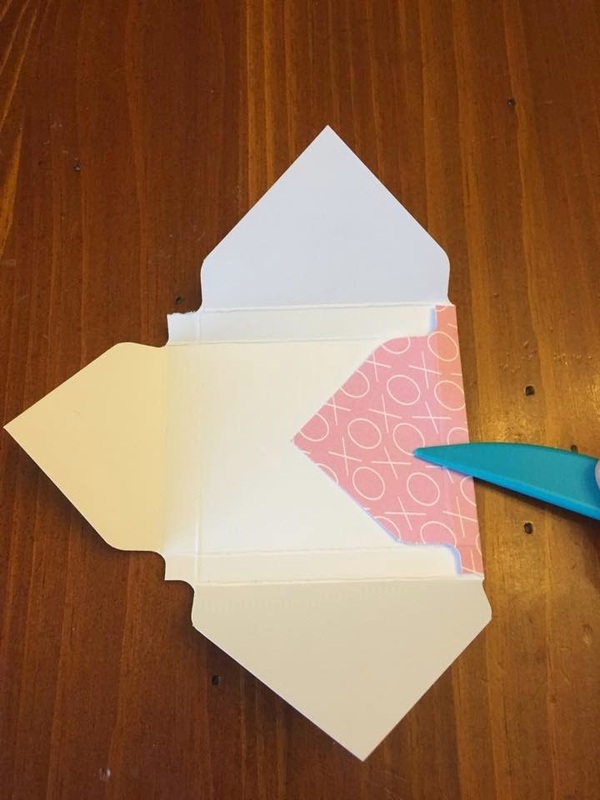 Step #6 - Cut off the small little flaps that stick out in each corner. Make sure to only cut up to the score line. When you are done your paper will look like this. Step #7 - This is an optional step depending on how you like the finished look. 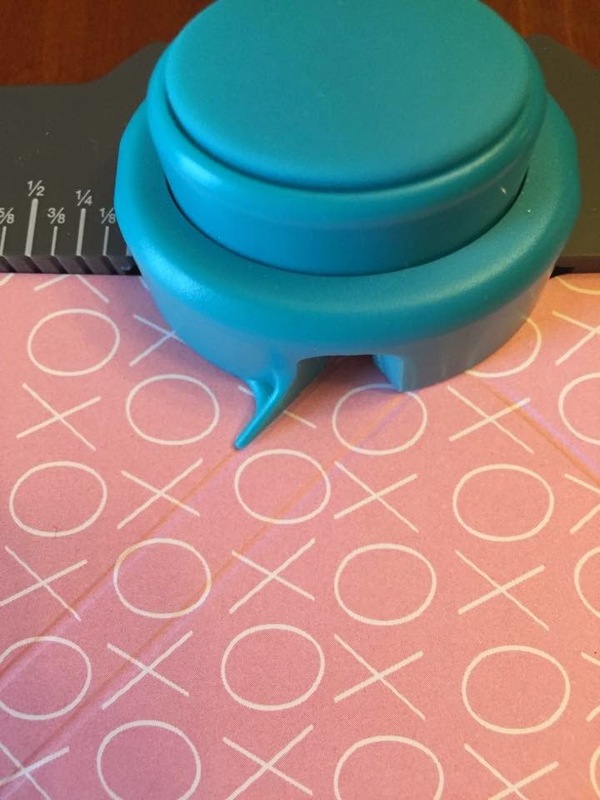 I like the look of the rounded corners so on the opposite side of the handle you push down to punch your paper there is a corner rounder built in. I did it to all of the corners of my treat holder. Below you will see the finished product. I realized I didn't take photos of this with the design I used above so that is why the paper is different in the two pictures below. Your final step would be to glue down the flaps. I glued down the flaps towards the bottom and ended up tucking the top flap in. You can glue it down as well, I choose not to since it would be easier for the kids to open it. 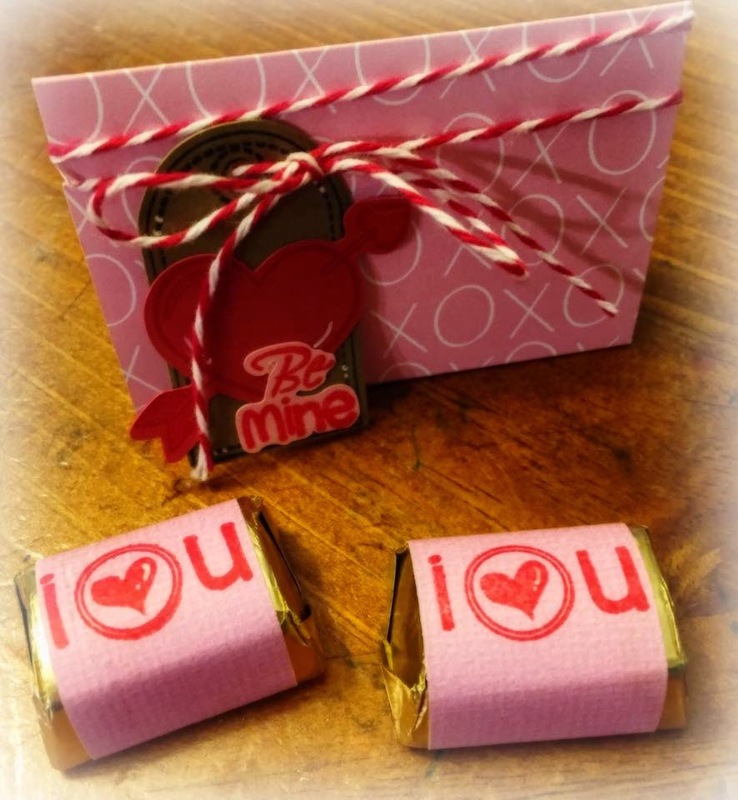 To decorate the envelope style treat holder I simply tied bakers twine around the package. 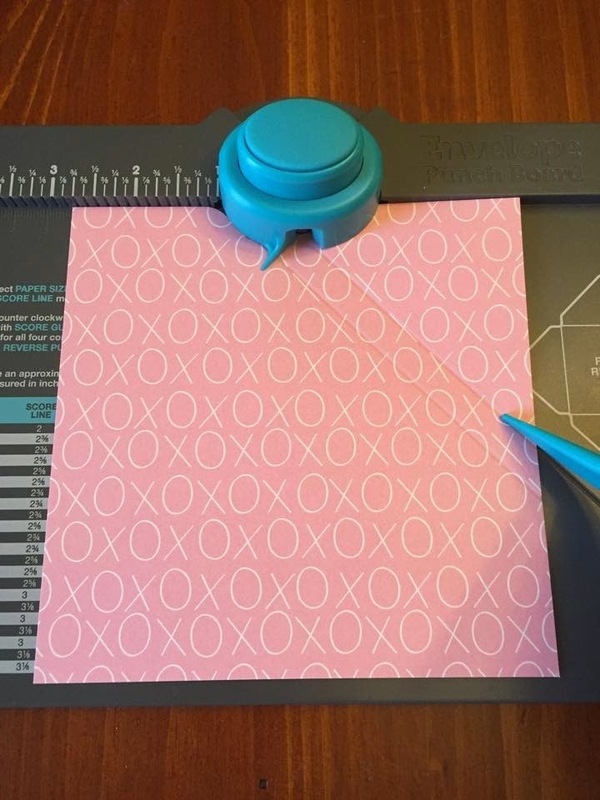 I had cut out a bunch of hearts as well as the SVG for the Happy Valentine's Day stamp. I used my Wink of Stella marker to color in the heart. Now if you remember that strip of paper I mentioned when we first started? 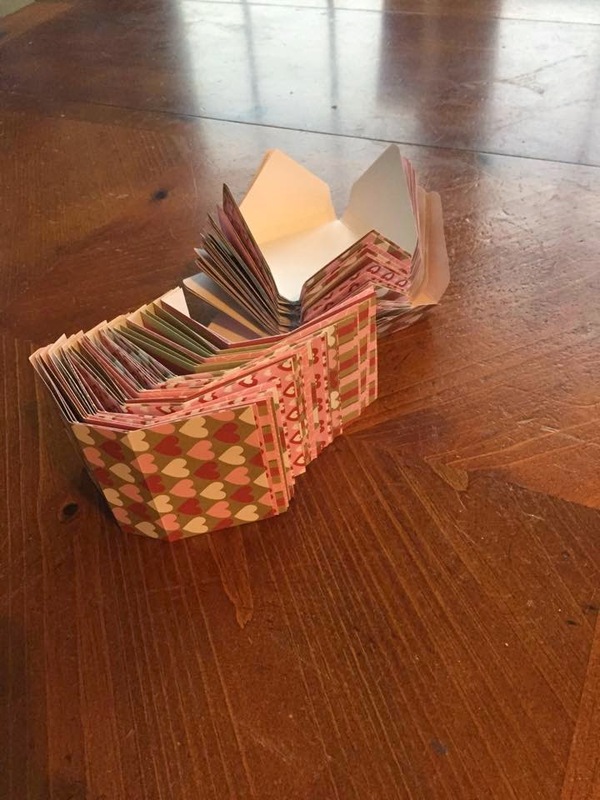 I really didn't need to add 25 more sheets of paper to my scrap pile so I came up with these treat holders. After all was said and done I used up all the sheets from the paper pad!! I was thrilled! Here is the directions for the treat holder you see below. 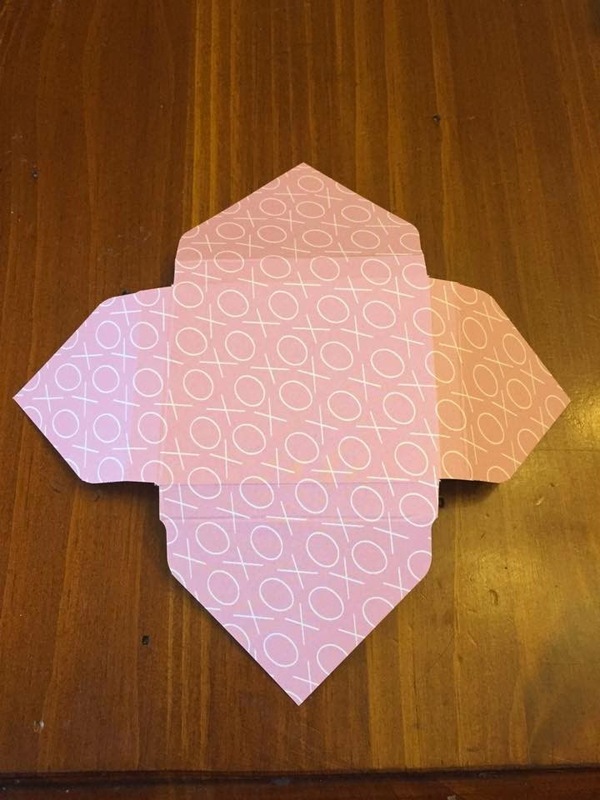 To make the holder I took the 3"x11" of paper and cut it in half. You will end up with two pieces of 3"x 5 1/2". Score at the 1/2" mark, then the 2 1/2" mark and the 3 1/2" mark. I wanted to have a flap to folder over so I can make it more secure. 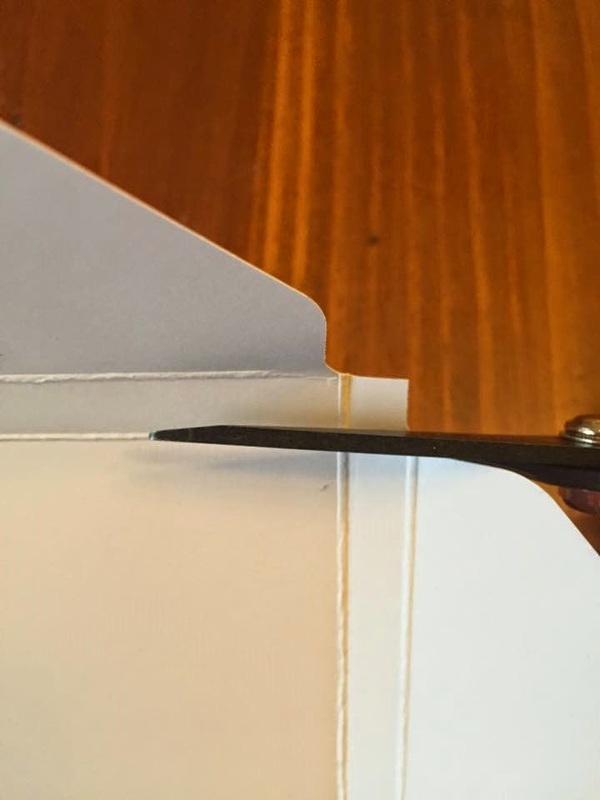 Simply go over the score marks with your bone folder to smooth out the creases, fill, and then fold and secure the flap in whatever fashion you would like. I rounded the corner on some for a more finished look. 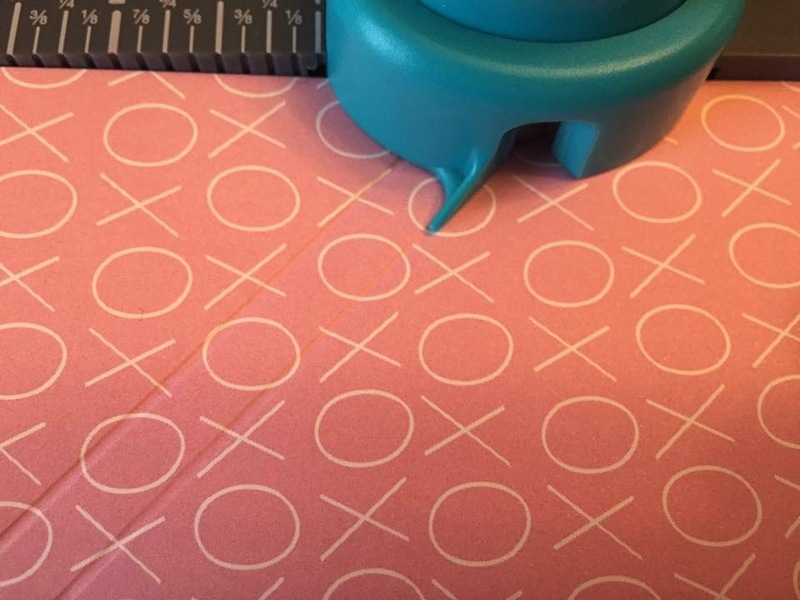 If you have a patterned paper make note of the way the design is going. 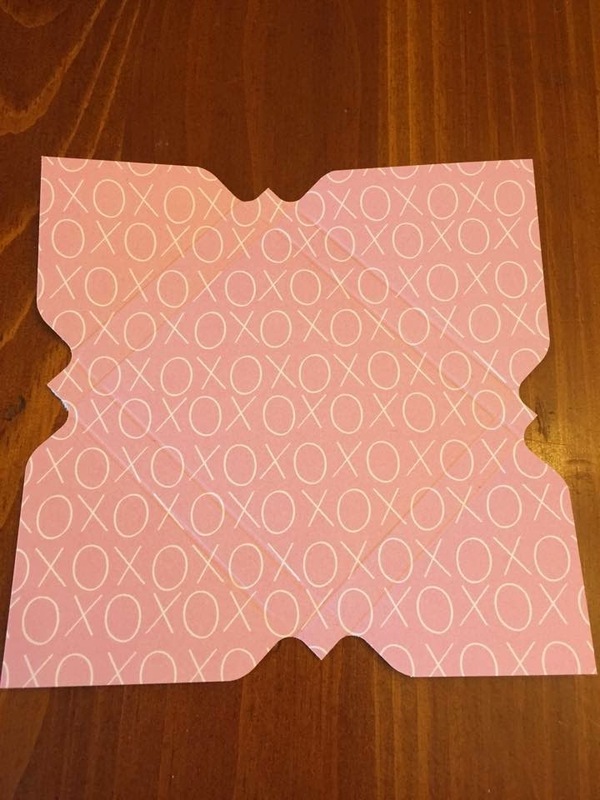 For example on the paper with the hearts I scored the paper so that when folded the hearts would not be upside down. This is how it would look after the score marks. 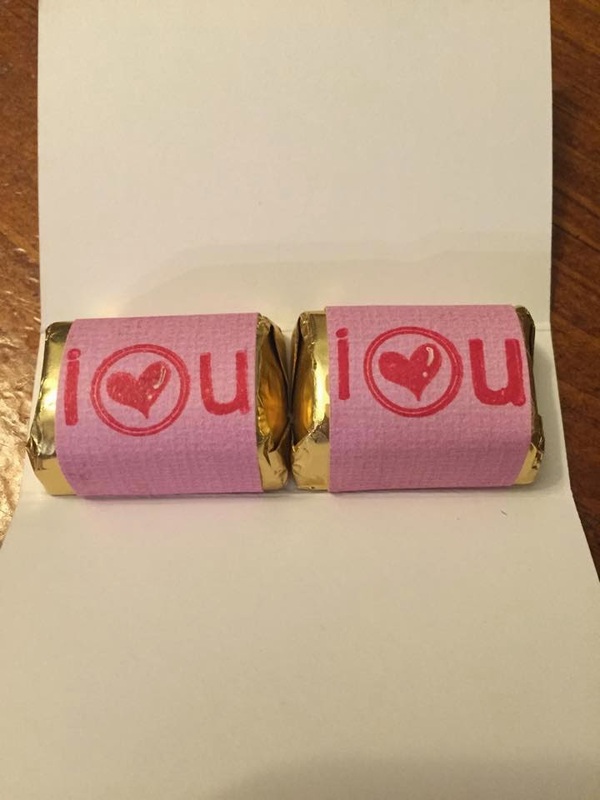 For the nuggets, I took 1"x3" strips of paper and used the I Heart U sentiment. It fit perfectly! Wrapped the papers around each nugget. This treat fits two of these nuggets perfectly as seen below. I did add a little dot of glue to the bottom of each one to keep them in place. To decorate the outside I wrapped twine around the package and threaded out a tag I made using the Short & Sweet Stamp set and the matching SVG. 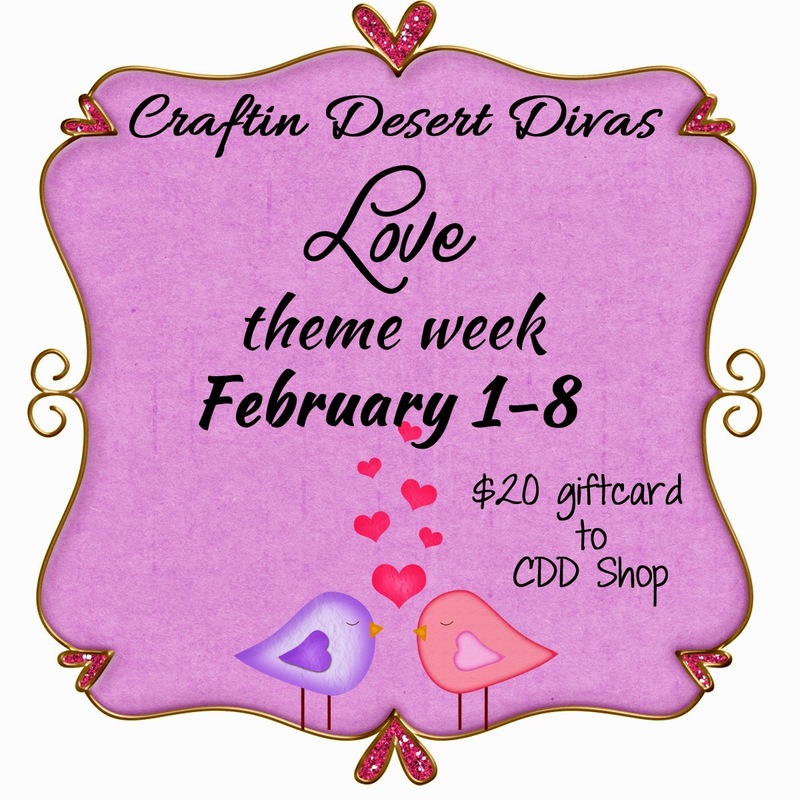 Used the heart & arrow from the Sending Love stamp set as well as the Be Mine sentiment (and matching SVG). This is a great way when you need to make a large quantity of treat holders. Trust me, these can be done very quickly once you get in the rhythm of things. Hope you enjoyed my tutorial. It was my first one I have ever done so I hope I did not confuse anyone. If you have questions, please just ask! These would also make great party favors, shower favors, treats for any occasion really. Simply just change the design! fantastic thanks for the great tut. Love these ! Thanks for sharing how to make them. So cute. You were productive. Now I have something new to add to my wish list. The envelope board. OMGosh these are wonderful. 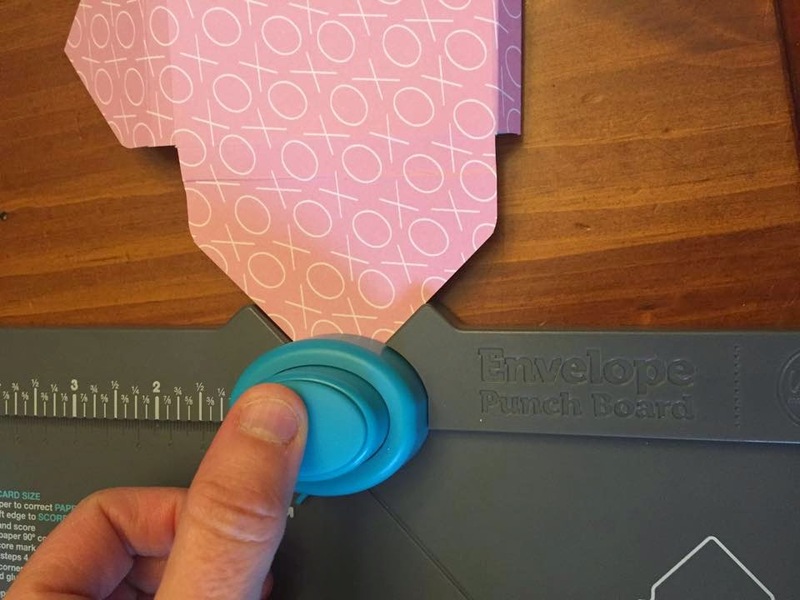 I am definitely going to dust off my envelope punch board give this a try. Thanks for sharing. Fabulous treat holders! Great tutorial too! Great tutorial! 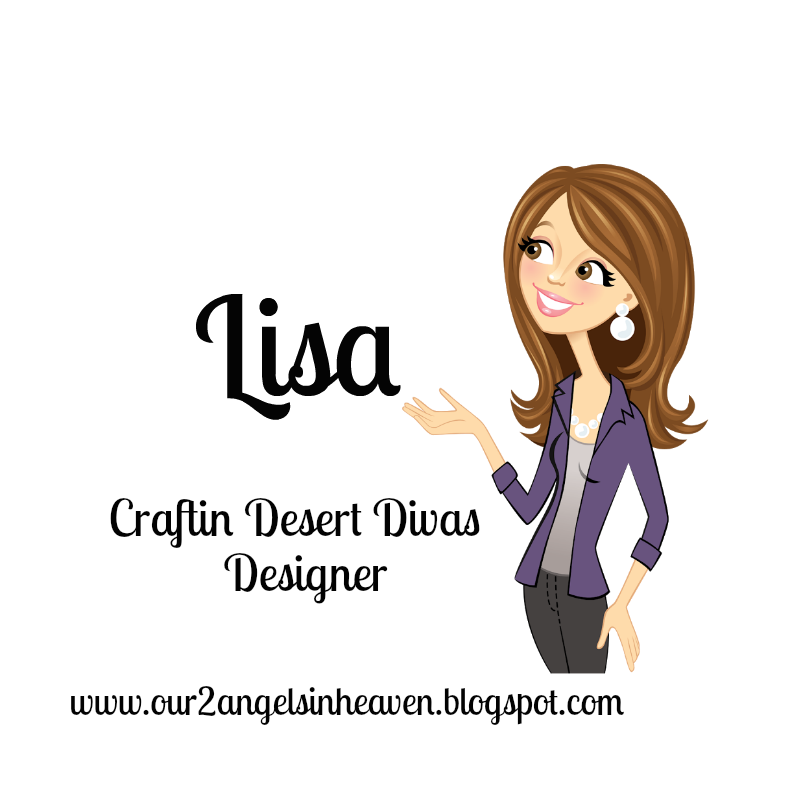 You have been a busy girl Lisa!